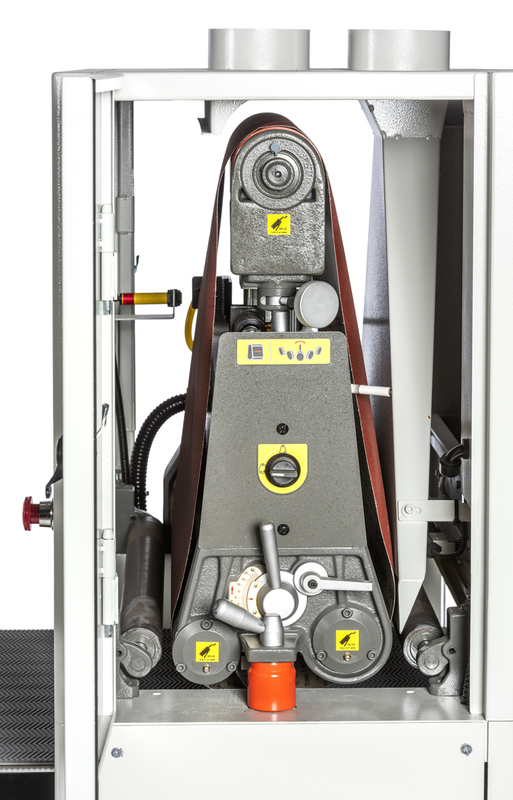 This heavy duty SandX 29″ x 75″ single head wide belt sander offers more features and performance than any other sander in its class. 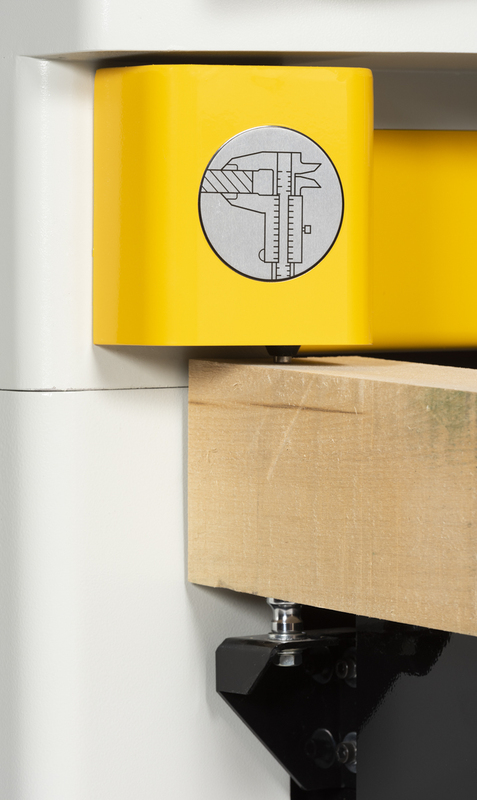 A true step above for any woodworking shop looking for a small good quality wide belt sander. 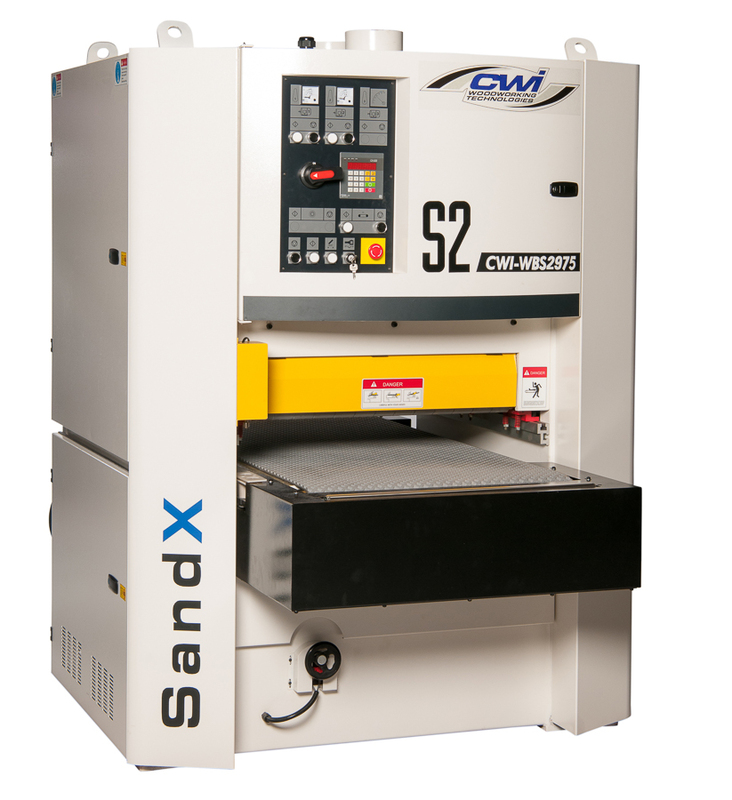 SandX Abrasive machines are built to very high standards for woodworkers needing exceptional performance but still at reasonable value. 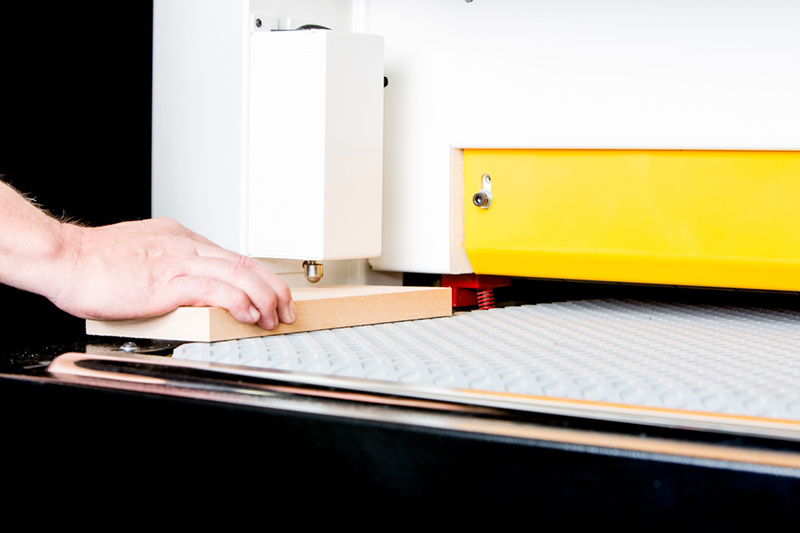 The CWI-WBS2975-S1 is an amazing machine which starts with a strong 10 HP sanding motor powering the combination finishing head with 2″ platen for excellent abrasive finishing of woodworking projects. Of special note on this machine is the 75” sanding belt length. 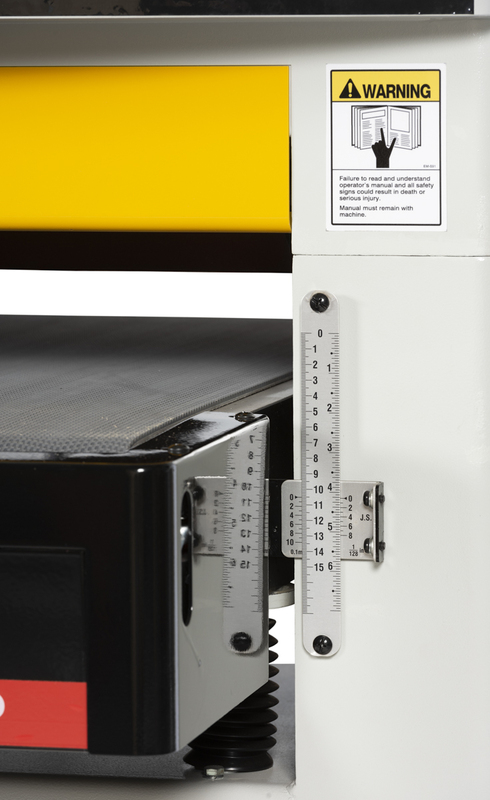 Most 25”-37” wide belt sanders use 48”-60” sanding belt lengths. Only the real heavy duty sanders use 75” length. The extra length accomplishes two things. 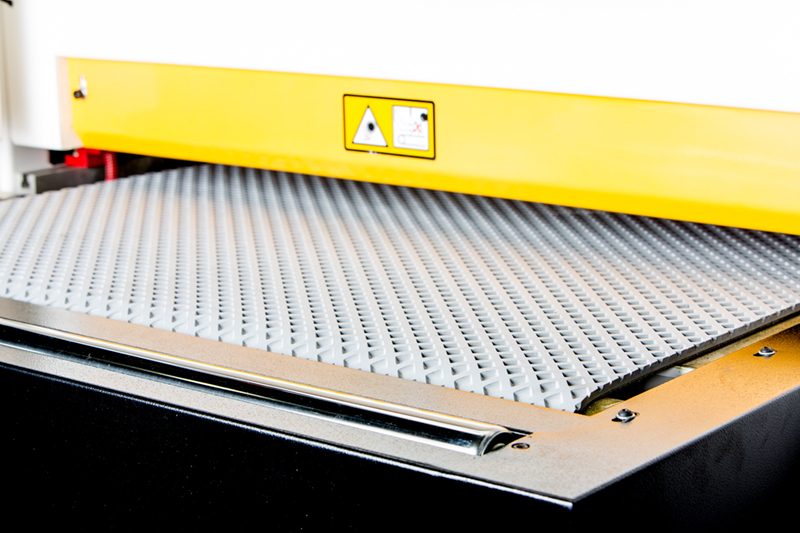 First the extra length means the belts will run cooler as they have more time for the belt surface to rotate. 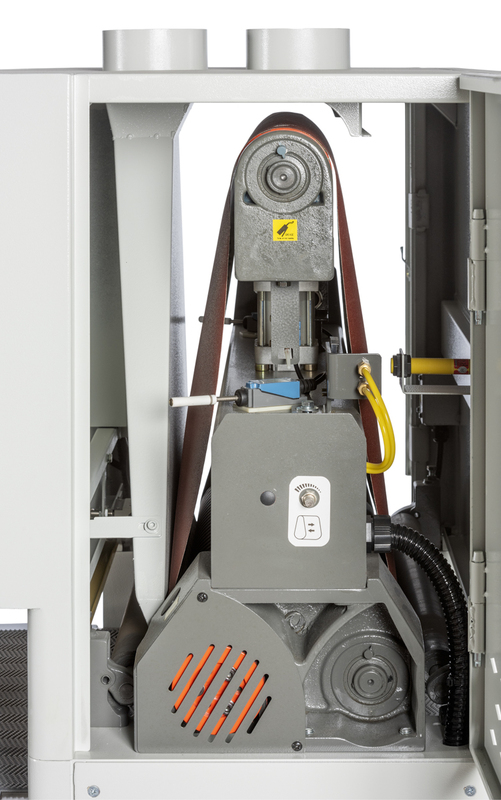 Second the frame and structure of the machine are built much heavier to support the larger belt meaning a far better built machine. 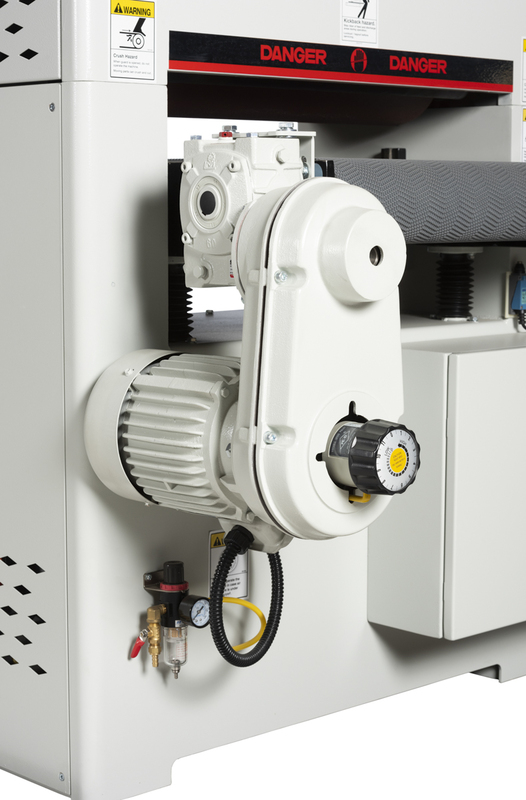 The shorter belt length machines are simply built to save costs….not for performance! 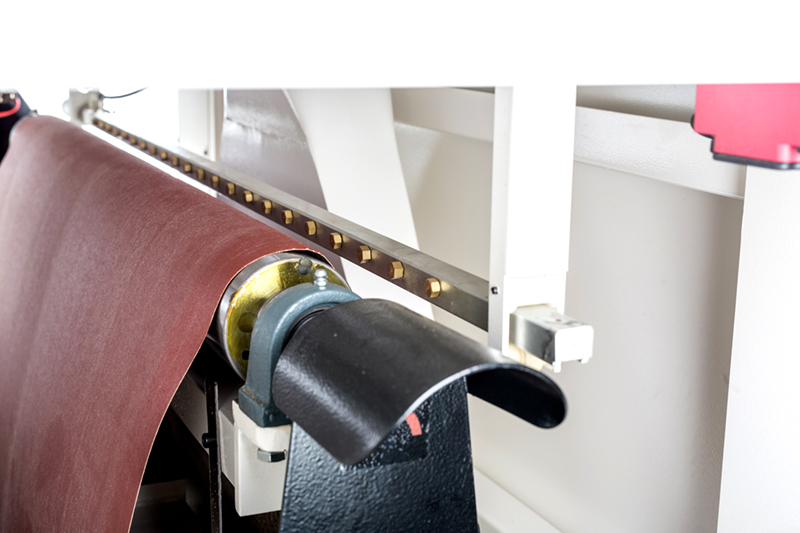 Tracking trueness of the abrasive sanding belt is done electronically for constant “maintenance free” usage of the belt tracking mechanism. 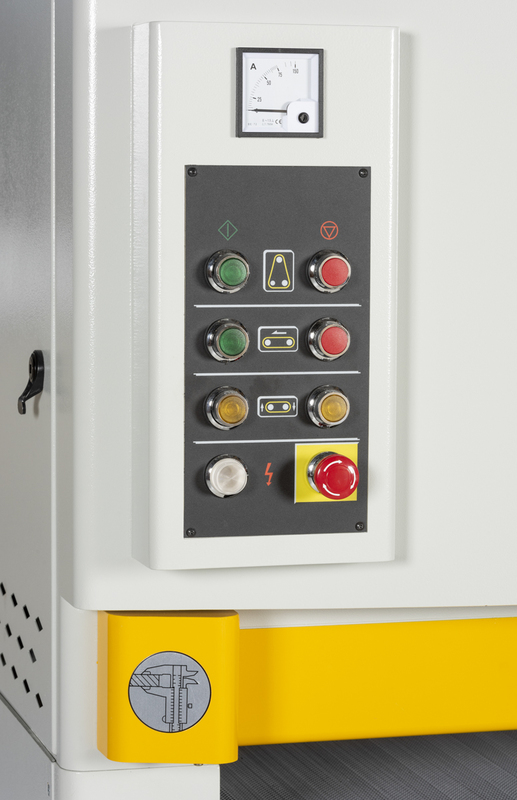 Many competitive machines use pneumatic abrasive belt tracking components which require constant maintenance of diaphragms, pumps and air lines which deteriorate over a period of time. 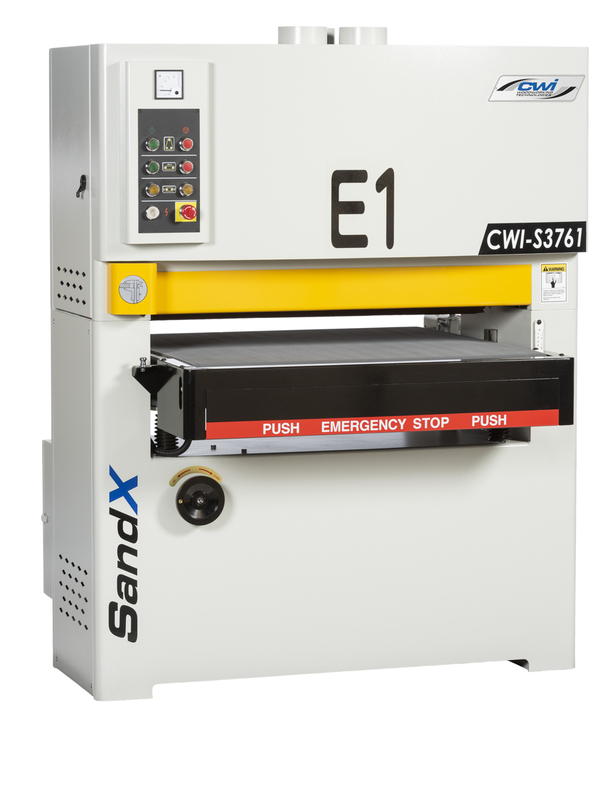 The SandX wide belt sander uses an electronic eye system with micro switches to activate the oscillation of the sanding head to keep the sanding belts tracking properly on the machine. 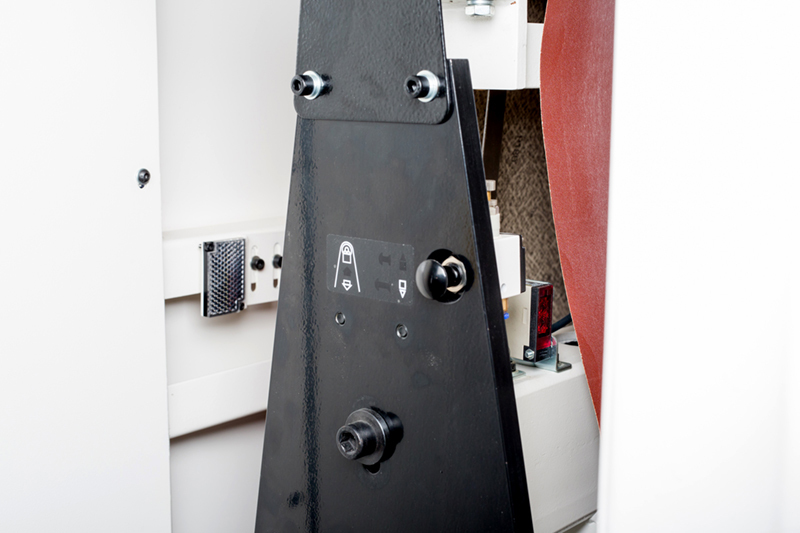 The variable speed rubber conveyer belt travels at 13-65 feet per minute by a very strong 1 HP feed motor and is controlled by an easy adjust automatic tracking devise. 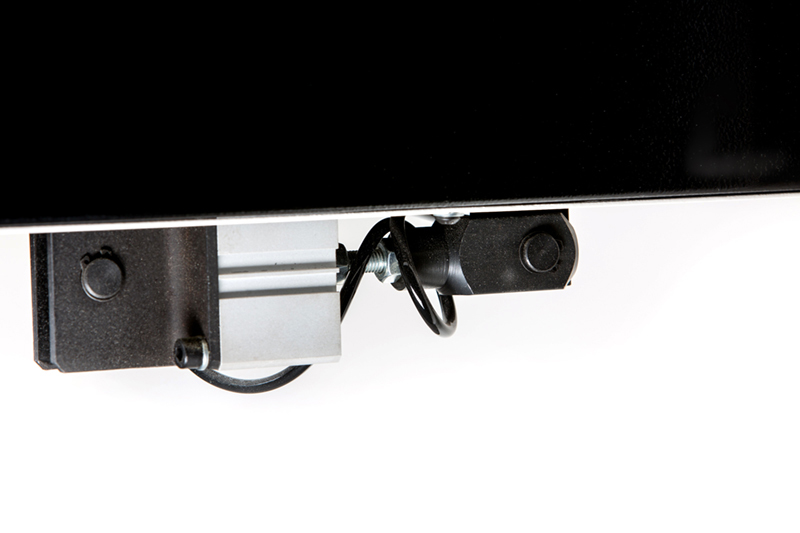 The conveyer table is supported by very heavy duty jack screws for years of trouble free table adjustment and trueness.